ny Trying to get the abuser away from her. internet. searching for the answer. Searching for help. before they give it to him. He uses those funds for tobacco, drugs and alcohol. He receives food stamps and uses them for what food does get into that house. always gets her very agitated, and at times she screams at me rather than him. 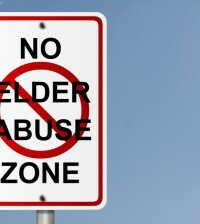 More on Elder Abuse – No One is Listening. Please Help…. good at manipulating her every thought. then to call a friend who went there and took a picture. I have that picture. calories faster that others. but its still far too little to weigh. waste- so they stopped them. He a liar a conniver. everything away saying its the dementia rambling. all of this just makes me sick. refundable and for any reason shes not on it-likely caused by his..its lost. Have you had an experience like this? Do you have an advice for Brenda?